It’s important to make sure your loved ones are taken care of in case something happens to you. Careful estate planning can ensure that your wishes are carried out when you are unable to carry them out yourself. In this video, an estate planning expert outlines a checklist of important actions to take while you are still of sound body and mind. First, it’s important to make sure your own health is taken care of—you can do this by signing an advance directive, or medical power of attorney. An advance directive outlines your specific healthcare wishes in the event of an accident or illness that leaves you incapacitated. Next, it’s important to have a financial power of attorney or living trust in place to ensure that your finances are properly distributed in the event of your death. A Tracy estate planning attorney can help with all these matters. A skilled lawyer can help you handle a number of complicated aspects of life. Whether you’re looking to plan your estate or hold another individual legally responsible for your injuries, it’s a good idea to hire an attorney. However, not just any lawyer will do—you need to find a skilled attorney who can adequately represent your interests. Here are a few factors to consider when hiring a Tracy lawyer . It’s impossible for any one person to have comprehensive knowledge of all facets of the law. When hiring an attorney, it’s important to look for depth, not breadth. If you need to draw up a living will, for example, an attorney who focuses on estate planning will serve your needs better than a lawyer who works primarily in criminal defense. The more focused your attorney is, the better equipped he will be to assist you. As with any other field, experience is very important when it comes to law. An attorney who’s been around for a few decades is likely to achieve a better result than someone who is just getting started. Generally speaking, an experienced attorney will have a much better understanding of how court proceedings go and how to avoid common mistakes. Experience alone may not be enough—it’s also important to ensure that your lawyer is actually good at what he does. The internet is an excellent tool for finding attorneys and evaluating their past performance. When browsing a lawyer’s website, consider looking for a “reviews” section that features testimony from past clients. If the attorney has done a good job in the past, there’s a good chance he’ll do a good job for you, too. Going in for an initial consultation is great for gauging your attorney’s personality and asking direct questions about his expertise. During the consultation, you might ask the attorney about his recent cases and overall success rate. If the attorney has won many cases that are similar to your own, he could be the right attorney for you . Your personal injury lawyer serving Tracy will work closely with you to thoroughly investigate all aspects of your case. 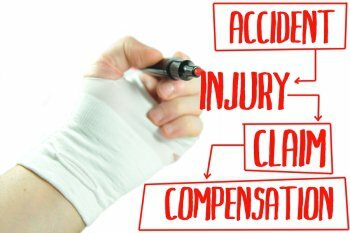 To win a personal injury case on the basis of negligence, your injury lawyer will need to prove a few basic principles in court. First, your lawyer will demonstrate that your actions at the time of the incident were reasonable and that you were exercising caution. In other words, your personal injury lawyer will demonstrate that you were not at fault for the incident that caused your injuries. Second, the attorney will prepare a reasonable argument and show evidence that demonstrates that the defendant was negligent in some manner. The defendant may have maintained hazardous conditions that led to a slip and fall incident, for example, or the defendant may have been driving recklessly when he or she struck your car. In some cases, a personal injury lawyer may concede comparative negligence. That is, you may have been partially responsible for the incident, yet the defendant carried the majority of the blame. 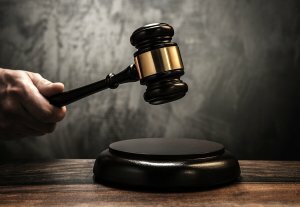 For example, if you are determined to have been 20 percent responsible for the incident, you may be entitled to 80 percent of the compensatory damages.